Today,17th June,2015 is the global deadline for digital migration .All analogue signals expected to be switched off world wide at 2359hrs. The deadline was set by ITU Member States at the Regional Radio communication Conference held in 2006, known as the GE06 Regional Agreement. Digital migration in Kenya has been a tough. The government launched the digital broadcasting service in Kenya in 2009 and has since had to overcome many hurdles mainly legal ones in the Kenyan courts. At one point, a dispute between the regulator the communication Authority of Kenya and three top media houses culminated in a blackout by the three. That aside, Digital Migration in itself brings immense possibilities for the users, regulators and broadcasters. More than 2.2 million households enjoy the benefits of digital television because they own a set top box. Many more continue to cross the bridge with more than 3.2 million set top boxes having been imported into the country. There is an estimated 4.5 million households with a television set in Kenya meaning there is need for 2 million Television sets. Phase 1: 31st December 2014: Switch of analogue TV transmitters in Nairobi and its environs. There are 79 licensed set top box vendors, more than 70 broadcasters, 50 of whom are on air. The Communication Authority of Kenya is responsible for awarding of these licenses. Digital migration has created more than 2,500 jobs with the number continually rising. At the height of the tussle between the Communication Authority of Kenya and the three media houses was the awarding of signal distribution rights. The first Broadcast Signal Distributor (BSD) licence was awarded to SIGNET, a subsidiary of Kenya Broadcasting Corporation. The second BSD licence was an open tender that was won by Pan African Network Group (PANG). The ADN consortium later applied and was awarded the signal distribution license. The two BSDs i.e. SIGNET and PANG have been assigned the same number of frequencies countrywide with at least two frequencies in every broadcast area while the ADN consortium got 21 digital TV frequencies. On the contrary, no Kenyan needs to pay to watch TV.The market has two types of set top boxes. Free-to-Air and subscription based set-top boxes. The Free-to-Air is a one-of purchase price and viewing attracts no extra costs. Viewers who would like to access premium content offered by Pay TV providers have the choice to purchase the pay television subscription services. Pay TVs attracts a monthly subscription fee according to the bouquets offered by the service providers. What are the Hits of Digital TV? Digital signals take less bandwidth and this has allowed for the growth of more channels in Kenya. Digital migration has seen the number of TV channels grow to 70, with diversification and targeted channels such as YouthTv, AviationTV coming up on specific topics. In issuing of the 21 frequencies, the CA said digital TV will free more radio frequencies in what is referred to as digital dividend. In addition, A digital signal carries much more data than an analogue signal. Therefore, more than one channel of television programs can be broadcast at the same time. This is known as multi-channeling. This efficient utilization of channels reduces the number of frequencies required for the broadcasting sector. This ultimately allows for freeing of spectrum space allowing other services to thrive such as mobile broadband. Some of these frequencies were issued to Telcos for the roll out of LTE 4G internet services. The Set Top Box (STB) which receives the digital signal also has the capability to interface with devices such as a cell phone, memory card or internet modem. This provides viewers with access to many more services and information. Already, some set top boxes such as the Safaricom Big Box are taking advantage of these developments. ADN consortium is also planning to offer set top boxes with internet enabled capabilities. Others include electronic programme guides which, used by viewers to navigate between channels, identify the currently screening program and the next program (‘now and next’) on each channel.More sophisticated EPGs can be used to set reminders for program viewing, provide a short synopsis of the content of programs, identify programming in advance for several days, search for programs by genre, a fete not possible with analogue television. Analogue TV limited viewers to standard definition television. With digital migration, High Definition Television, the premium version of digital television offering picture and sound quality is now possible. Providers such as StarTimes are already selling HD set top boxes as well as providing users with HD channels. Benefits of HDTV are particularly noticeable on larger screen sets and when using projection equipment. HDTV comes widescreen format and provide cinema-quality viewing with Dolby surround sound. 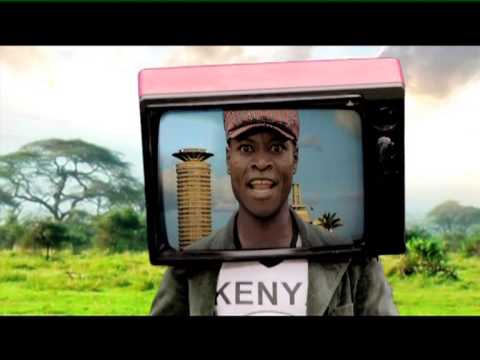 While Kenya may have met the global target well in advance, there were certain issues with digital migration. Geo Poll, the world’s largest mobile survey platform, recently carried a study on digital migration awareness in Kenya. The study showed that 88% of Kenyans are aware of the requirement to migrate to digital broadcasting. However, many Kenyans were unaware of what really is taking place with digital migration and instead associated it with paytv. Information on the choices of set top boxes available, the process and what are the benefits of the entire process. The misinformation was extended by the refusal of the three top media houses to carry advertisements on digital migration. While a large number of Kenyan households have since acquired the boxes, many among the 2 million have been left out due to the cost factor. Acquisition of the set top boxes means an extra cost to the households, with many not able to afford the same considering its not a basic need. The set top box providers and vendors have also not worked towards lowering the cost of the devices further with most of them going for north of Kshs. 2,000 for a free-to-air STB. The cheapest set top boxes require the customer to pay subscription fees which may not be sustainable in the long-run. Much of Kenya is not covered with electricity. Most of these households especially in rural areas rely on solar energy for their day to day energy needs. Except Azam and StarTimes, most of the vendors have not taken into account this market that relies on direct current to power their set top boxes. The Azam and StarTimes offerings are both satellite, meaning the cost of each is higher to acquire. This may hinder the uptake of these boxes in rural Kenya.